You know that you love it. There she stands, Daenerys and her cohorts, who are surrounded by the murderous Sons of the Harpy, all hope seems lost, and then her dragon magically arrives, toasts her murderous foes and whisks her away to parts unknown. That, my friends, is a cliffhanger and that’s what keeps fans of Game of Thrones coming back for more and more … episode after episode!! Long before television; before cable, the “cliffhanger” was a staple of the movies. 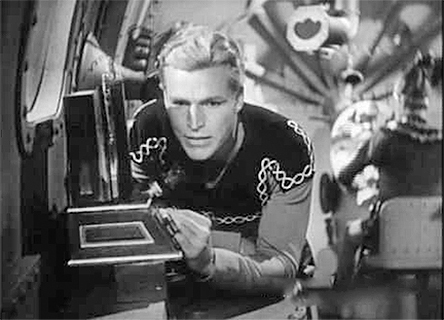 Each week fans could enjoy a double-feature, a newsreel, perhaps a cartoon or two and the latest chapter in the theatrical serial de jour. It was a glorious time at the movies! 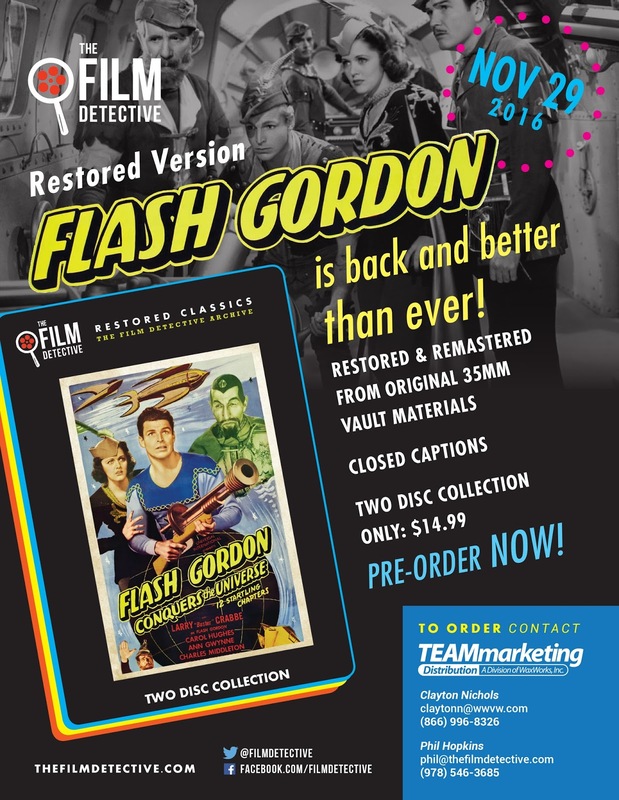 Word arrived this past week that The Film Detective will be joining forces with Team Marketing on Nov. 29 for the double-disc DVD release of the newly-restored (from original 35mm film elements) 1940 sci-fi thriller, Flash Gordon Conquers the Universe. Alex Raymond’s newspaper creation, Flash Gordon, leaped from the funny pages to the screen for not one, but three serialized adventures — Flash Gordon, 1936; Flash Gordon's Trip to Mars, 1938 and Flash Gordon Conquers the Universe in the spring of 1940. 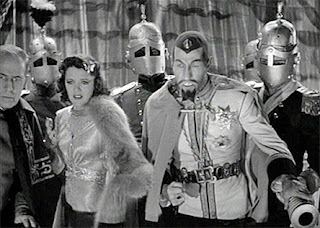 All three starred Buster Crabbe as Flash, with Carol Hughes as Dale Arden, Frank Shannon as Dr. Zarkov and iconic character actor Charles Middleton as the infamous Ming the Merciless. We pick up this classic sci-fi tale with the Earth being ravaged by the “Purple Death,” an insidious super weapon developed by Ming … Flash must return to the Planet Mongo, find the element called Polarite and stop the plague! It won’t be easy, that’s for sure! 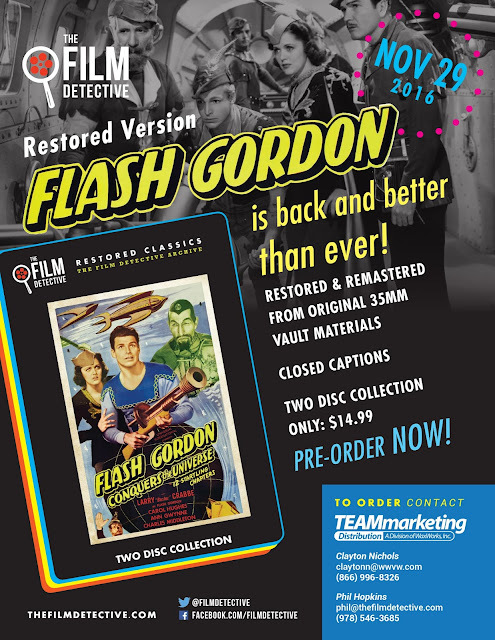 12 thrill-packed chapters — and with titles like “Freezing Torture,” “Flaming Death,” “The Fiery Abyss” and “The Pool of Peril” — you know that there will be 11 glorious “cliffhangers” that culminate in the final showdown between Flash Gordon and Ming the Merciless! 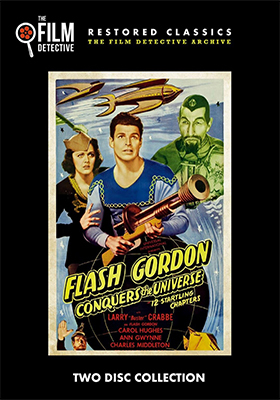 If you have Star Wars and Star Trek adventures in your film library, or X-Men, Superman or other super hero series in your home entertainment collection, then this restored presentation of Flash Gordon Conquers the Universe is a must-have addition come Nov. 29! 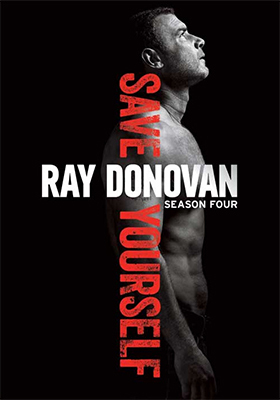 Paramount Home Media made it official — after being teased just a little bit over the last few weeks — that Hollywood’s “fixer,” Ray Donovan (Liev Schreiber — nominated for two Emmy Awards and three Golden Globes for his portrayal of Donovan), will be retail-ready in time to celebrate the New Year with the release of Ray Donovan: The Complete Fourth Season (a four-disc DVD set) on Dec. 27. The third season ended with a massacre that left Terry (Eddie Marsan) near death, Ray in terrible shape and Mickey (Jon Voight), well, Mickey being a devious, manipulative killer (nice job Mickey!). How do you top the season finale from Season Three and keep the suspense going for 12 more rounds of Donovan intrigue? No problem! If the Donovan family can’t find mischief enough to get into (perhaps another “big score” for Mickey), trouble will certainly come looking for them … hello, Russian mafia! MVD Entertainment Group announced this past week that Friday, Nov. 18 will be the DVD release date for Dickey Betts, Jimmy Hall, Chuck Leavell, Butch Trucks: Live at the Coffee Pot, 1983. 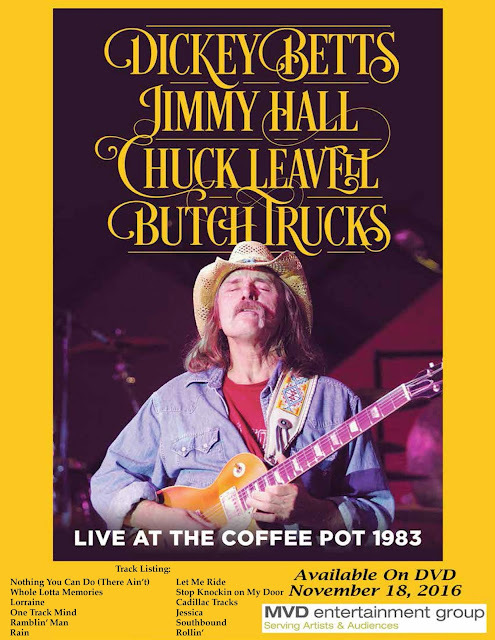 On U.S. Route 221 in Roanoke, Virginia stands The Coffee Pot. 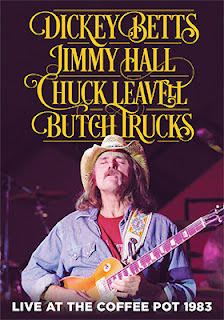 It’s a roadhouse that has been there since the 1930s, it is even list in the U.S. National Register of Historic Places. It is known for a place to gas up, get a bite to eat or enjoy some good music. Ritchie Valens played here. — Willie Nelson too. The venue is called the “biggest small stage in the South”… and back in 1983 someone had the presence of mind to record live the 12-number set performed by Allman Brothers Band co-founder Dickey Betts (guitar) and other ex-ABB members, Butch Trucks (drums), Chuck Leavell (keyboard), David Goldflies (bass) along with Wet Willie’s Jimmy Hall (vocals) and Dan Parks (fiddle). BHLT for short! If you are looking for a last minute Christmas gift for that someone who is very “special,” then you need look no further than Arrow Video’s Dec. 13 Blu-ray collection titled Hellraiser: The Scarlet Box. MVD Entertainment Group will be directing the domestic sales and distribution efforts for this unique collection of filmmaker Clive Barker’s 1987 film adaptation of his own short story, “The Hellbound Heart,” which was titled for the screen as simply Hellraiser. An iconic masterpiece of horror if there ever was one! Included in the collection are new 2K restorations of Hellraiser, Hellbound: Hellraiser II (1988, directed by Tony Randel), and Hellraiser III: Hell on Earth (1992, directed by Anthony Hickox), plus a bonus disc containing two of his short films — Salomé and The Forbidden — and the new documentary, Hellraiser: Evolutions (2015, directed by Anthony Masi). As to bonus goodies — and there are a ton! 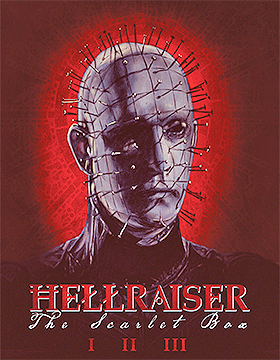 — we begin with two commentary options for Hellraiser. The first features writer/director Clive Barker, while the second teams Barker with actress Ashley Laurence (she played the character Kirsty Cotton in all three films). Hellraiser also has five production featurettes — “Leviathan: The Story of Hellraiser,” “Being Frank: Sean Chapman on Hellraiser,” “Soundtrack Hell: The Story of the Abandoned Coil Score,” “Hellraiser: Resurrection” and “Under the Skin” — and draft versions of the original script. Hellbound: Hellraiser II also has two separate commentary options — the first features Tony Randel and writer Peter Atkins and second features both Randel and Atkins plus Ashley Laurence. There are featurettes, on-set video sessions and behind the scenes footage. Hellraiser III: Hell on Earth has an alternate cut of the film, commentary with director Anthony Hickox and actor Doug Bradley (aka: Pinhead), archived and vintage on-set video sessions, the newly-minted featurette titled “Terri’s Tales” and never-before-seen dailies. 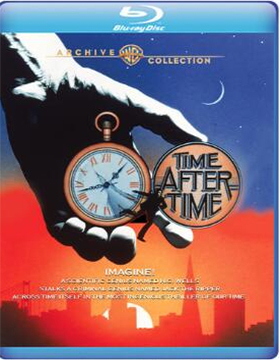 Warner Bros. Home Entertainment will be releasing a Blu-ray edition of director Nicholas Meyer’s 1979 sci-fi thriller, Time After Time, on Nov. 15. Malcolm McDowell stars as H.G. Wells, whose fanciful tale about a time machine turns out to be not so fanciful after all. His machine exists and he has unwittingly turned none other than Jack the Ripper (played by David Warner) loose on 20th Century San Francisco … he’s got to put things and save the woman of his future dreams (Mary Steenburgen) in the process. Warner Bros. Home Entertainment has also added director Stanley Donen’s 1955 musical extravaganza, It’s Always Fair Weather, to its Nov. 22 Blu-ray release calendar. Already in place on that day is War Dogs. Nominated for two Oscars — Best Writing and Best Oklahoma!) 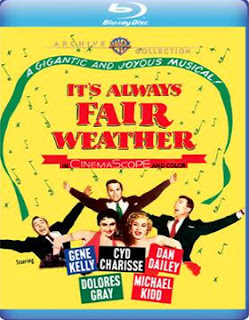 — It’s Always Fair Weather starred Gene Kelly, Dan Dailey and Michael Kidd as GI’s who served in World War II together have great plans as the war comes to end and they celebrate in their favorite New York bar … but great plans are just that, plans. 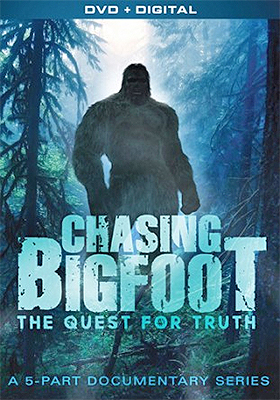 Mill Creek Entertainment teased its first DVD product offering for 2017 with the news that the five-part documentary titled Chasing Bigfoot: The Quest for Truth will be kicking off the New Year on Jan. 3. Whether these mysterious creatures are called Yeti, Sasquatch or simply “Bigfoot,” there is plenty of anecdotal evidence that something is afoot in the forests and remote woodlands of the world. Sure, black bears and mountain men living off the grid are obvious answers, but there have been enough encounters over the years to leave a great big question mark and the ultimate answer still remains … out there!